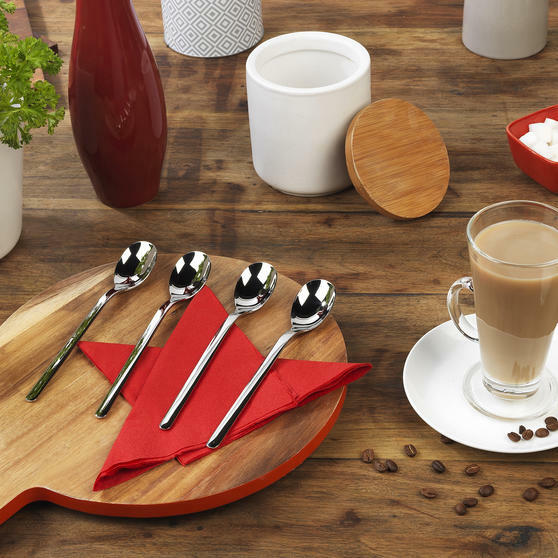 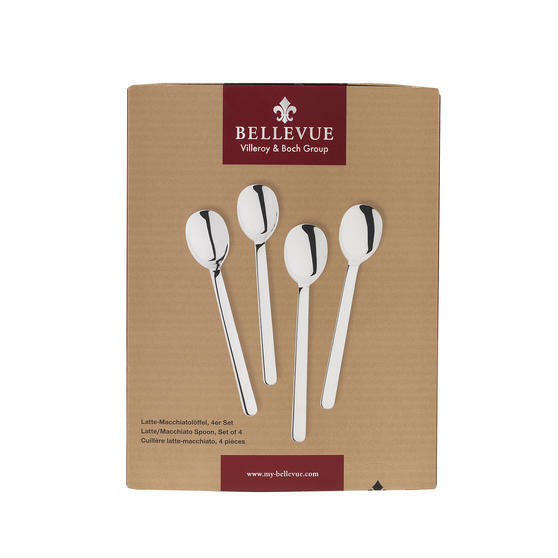 The perfect gift for a coffee connoisseur or a great addition to your kitchen drawer, the Bellevue Latte Spoon Set is a must. 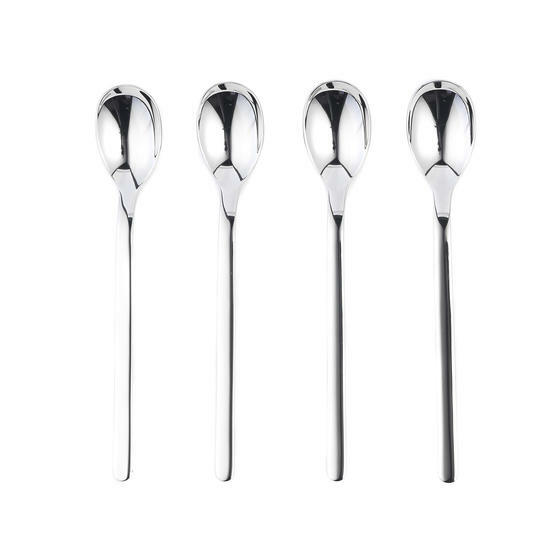 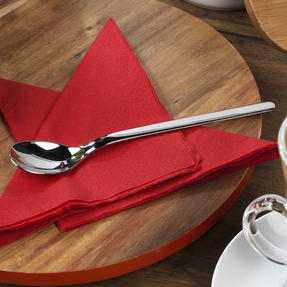 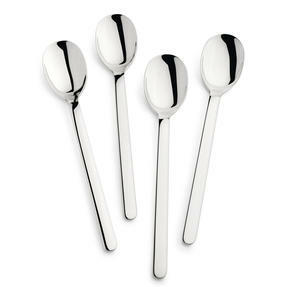 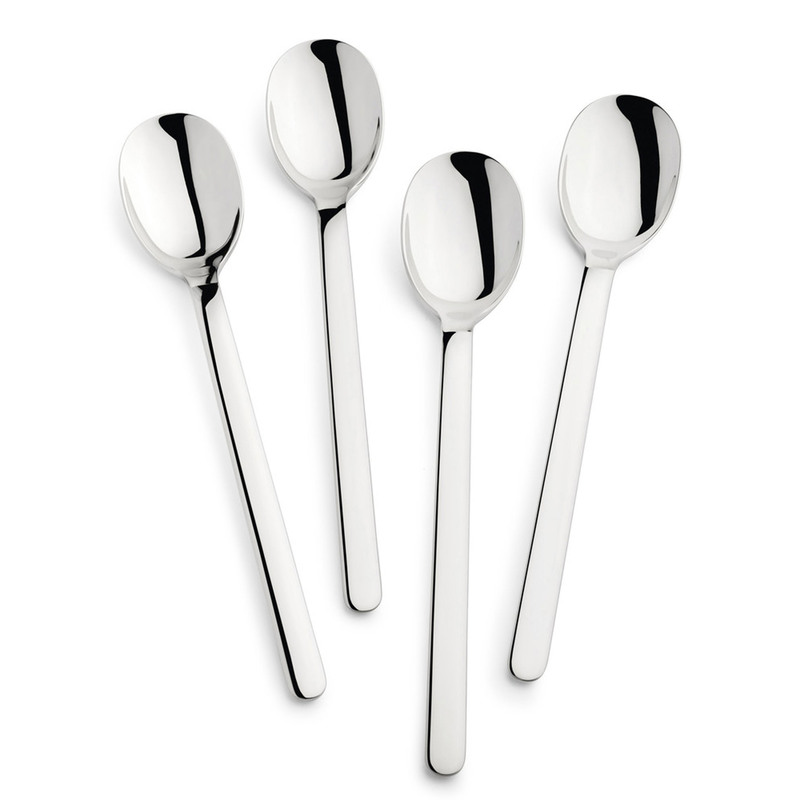 Made with high quality stainless steel, the elegant spoons offer a highly polished finish for that extra special touch. 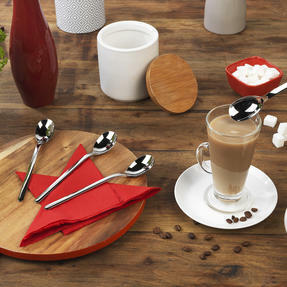 After you mix your frothy latte with ease, simply pop in the dishwasher for an effortless clean. 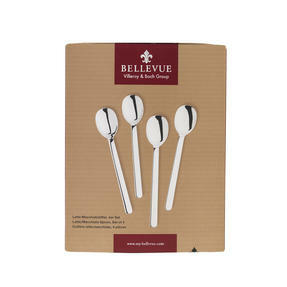 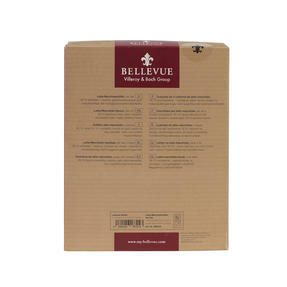 Odour resistant with a modern elegant design, the four-piece set is great for making a drink for friends. 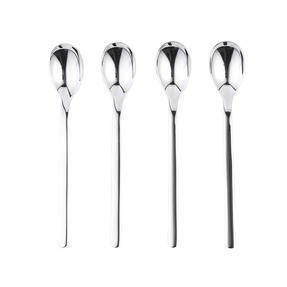 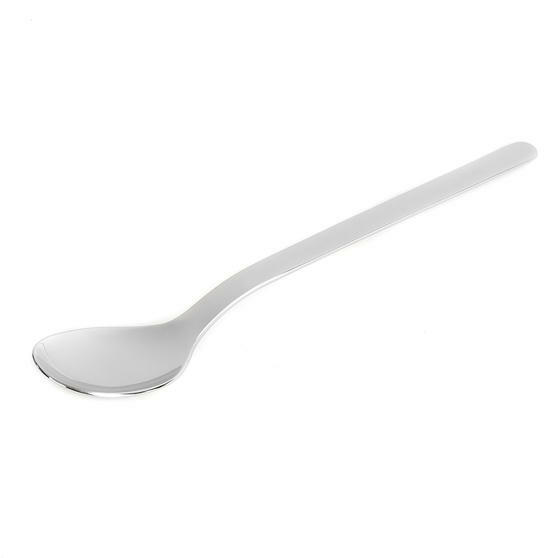 Each 18/10 stainless steel spoon measures 185mm. Offering the perfect shape and size for stirring your frothy latte, the 185 mm Bellevue spoons are a great gift for family and friends. Made from high quality steel, the four-piece set is odour resistant and dishwasher safe, meaning cleaning up has never been easier.